The path to becoming a successful investor is by no means easy. Creating an invention requires a lot of time and commitment, and the invention creation process is never the same for any two inventors. However, anyone who has had successfully completed this long and drawn out journey will tell you that it is all worth it. If you’re a product inventor, one of the best way to ensure you stay on the path to success is by ensuring you avoid any costly mistakes. 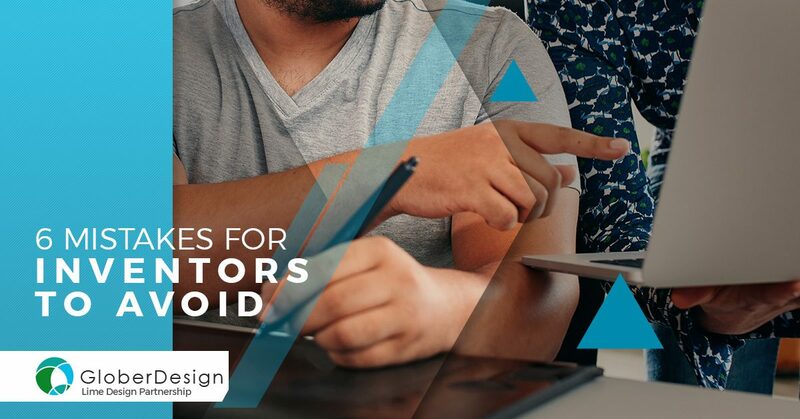 To assist you in your journey to bring your invention to life, we’re going to review six of the many mistakes inventors should avoid. Creating an invention is without a doubt an exciting milestone and it’s easy to get over excited and jump into the process moving full-steam ahead. However, one of the first things that should be done is creating a plan. Trying to move forward in the invention process without any plan or direction will make it confusing and difficult when thinking about the objectives of your invention. Be sure to first develop a plan with goals, strategies, and tactics, being mindful of your budget and timeframe. You may need to have separate sections for different aspects of your plan – building a prototype and creating a marketing strategy will likely have different time frames and objectives that require completion. While this may seem like a no-brainer, it’s important to remember that your invention will not have overnight success. Inventors acquire many different costs, such as securing a patent, creating a prototype design, registering a business, getting the product manufactured are just a few examples. In order to make money, you have to be willing to put in the time and elbow grease. Only a small percentage of inventions find success. When you pursue your invention idea, you’ve got to be in it for the long haul. Thinking success will come in weeks or even months is not quite realistic, in fact, it will likely take years! The invention industry is not for those who want to get rich quickly, but for those who believe in their ideas and have the time, dedication, and perseverance to stand behind the idea, regardless of what the outcome turns out to be. Does your product fit into a specific niche market? Does the product help solve a problem? Who is the ideal customer for your product? These are a few important questions to ask yourself to determine if there’s a market for your product. You can also research similar products to yours online or by visiting stores in which they sell. Take note of the branding, the price point, and how they point out important features and benefits. In order to bring an invention idea to the market, a variety of disciplines need to be involved. This includes business, product design, law, marketing, licensing, web design, advertising — the list is extensive. Even if you feel you are knowledgeable in your invention’s field, you’re going to need to consult a professional sooner or later. It’s difficult to manage all aspects of an invention alone, so it is best to seek the advice of a professional to ensure you are heading in the right direction. There are a lot of invention prototype companies out there that offer complete invention prototyping services, you just need to take the time to find the right one. It’s exciting to have an invention and product in the works, and yes, getting feedback from others is a great way to improve the product. However, you should be careful not to disclose your idea to everyone you meet. If not being able to tell people about your idea is killing you, be sure to get a patent first. Talking about your invention without having one, puts you at a risk of having your intellectual property stolen. It is essential to have a plan in place before jumping into your invention idea. However, you cannot plan for months on end without taking any action forward There is no better time than now to get started with your idea. Waiting to take action risks someone with a similar idea to yours and starting the invention process before you’re able to. Make yourself a to-do list with some things that can be done in the early stages of the process, such as doing research and creating a rough prototype. Not everything needs to be perfect before moving forward with your invention idea. When you are just beginning the initial processes with your invention, the road ahead can be foggy. However, as long as you avoid these six common mistakes, you’ll be off to a great start on your invention journey! Another way to get a step closer to success with your invention is to work with a reliable invention prototype company. At Glober Design, we use the latest technology and machinery to transform your design into a full scale prototype. As one of the leading companies that make invention prototypes, we have an important role of performing rapid prototyping services and to ensure that your designs are turned into prototypes which can be used for testing and helping others gain a better understanding of how a product works before investing massive amount of money in mass production A great quality prototype could be done better with 3D printed models, which is far more accurate model, that reflects exactly the shape of the desired design, the weight, the parts and textures as well. To learn more about our invention prototyping services, contact us!